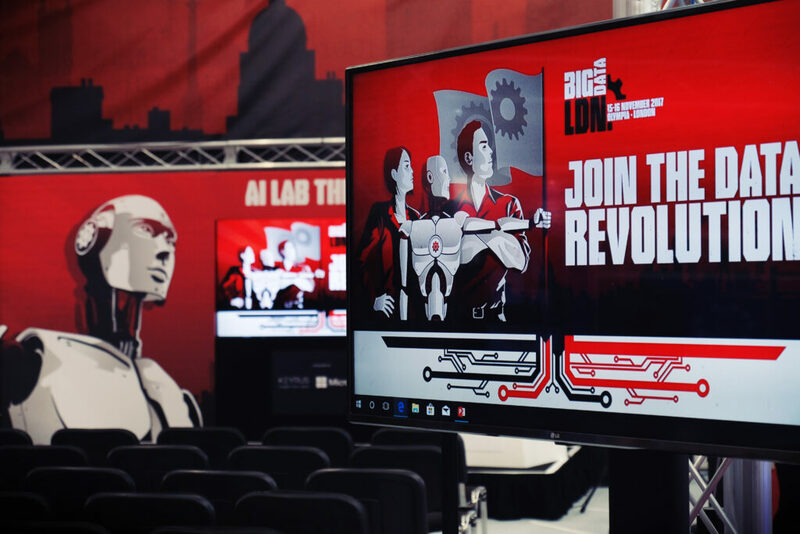 Knowledge is power – and business leaders looking for ways to get ahead of the competition and excel in a data-driven world will find world-class know-how, insight and instruction in abundance at Big Data LDN, the largest data and analytics conference and exhibition in the UK next week. Entirely free to attend, Big Data LDN sees delegates discuss the big questions and share ideas with forward-thinking peers and leading members of the data community. This year’s event brings together 150 expert speakers across eight technical and business-led conference tracks, to arm delegates with an understanding of the very latest applications, developments and tools in big data. In the keynote theatre, rock star data gurus and world-leading data experts will tackle subjects as relatable and diverse as digital transformation and machine learning, analytics and data virtualization. Jay Kreps, Ex-Lead Architect for Data Infrastructure at LinkedIn will give Tuesday’s first keynote presentations, while the Turing Prize winner, IEEE John von Neumann Medal Holder, Professor at MIT and Co-founder of Tamr Michael Stonebraker will give Wednesdays. Dan Wolfson, Distinguished Engineer and Director of Data & Analytics at IBM Watson Media & Weather, Raghu Ramakrishnan, Global CTO for Data at Microsoft, Doug Cutting co-creator of Hadoop and Chief Architect of Cloudera and Phillip Radley, Chief Data Architect at BT will join Stonebraker in the Great Data Debate, in a special Tuesday keynote panel. Over 150 speakers will also present highly informative and instructional 30-minute seminars across eight highly relevant tracks referencing the big data revolution – covering everything from fast data and AI to customer experience and data governance. Seminars will reference real world use-cases from an array of industry types, giving delegates a unique opportunity to learn from a plethora of industry experts. 100 leading technology vendors and consultants will also be on hand to discuss business requirements on the exhibition floor. The eight different tracks across the two-day event cover the most pressing issues facing business leaders today; in the Fast Data theatre, data analysis, real-time data processing and the increasing velocity of big data will take centre stage. In the AI Lab, experts in the fields of Artificial Intelligence, predictive analytics and machine learning will share the knowledge. New for 2018, the Data Ops theatre covers data collection, distribution and control while Data-Driven LDN theatre will focus on strategic data and the role of the CDO. The democratisation of BI will be the focus of the Self-Service Analytics theatre, customer engagement is front and centre in the Customer Experience theatre, while organisational data management, GDPR and privacy will be covered in the Governance and MDM theatre. Matt Stubbs adds, “For this year’s Big Data LDN we’re assembling an industry leading line-up of 150 engineering gurus, open-source visionaries and real-world pioneers – this collection of real experts shows the importance of big data and the increasingly vital role it plays across every facet of modern businesses. What’s even more impressive is that this event is totally free – putting end users from organisations like ING Bank, Thames Water, Vodafone, HMRC, Legal & General, & Sky within reach for business leaders embracing the big data revolution. Big Data LDN takes place on 13-14 November at Olympia, London.